The article written by Dr. Scharfschwerdt 1 measured and compared the pressure gradients and back pressure of Optiflow’s unique tip design to Medos X-Flow, Sarns Soft Flow and Argyle THI. 1 Scharfschwerdt M, Richter A, Boehmer K, et al. 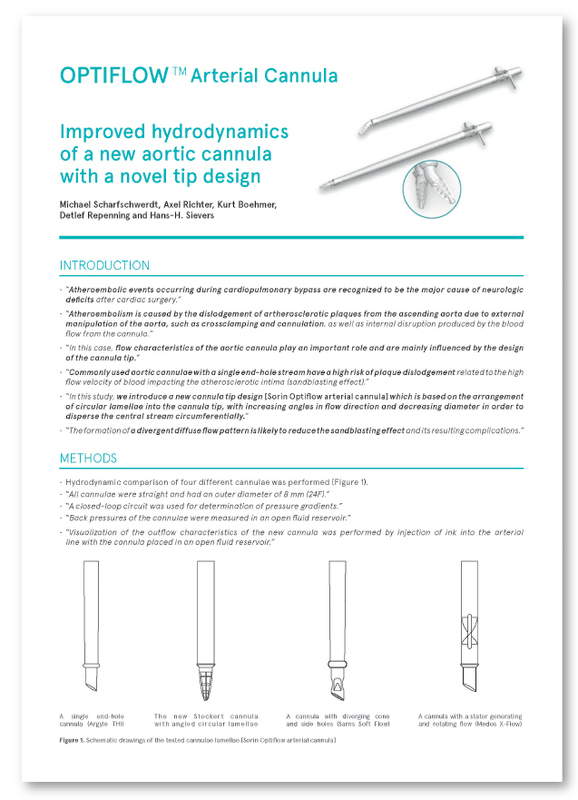 Improved hydrodynamics of a new aortic cannula with a novel tip design. Perfusion. 2004 May;19(3):193-7.